I am so pleased to be a featured artist in issue #7 of Inspirational, a 201-page magazine from John Hopper from The Textile Blog. For every issue, John highlights a group of 8 artists from a wide range of creative disciplines. He not only includes an extensive number of images of their artwork, he writes an accompanying article focused on how each artist perceives the world around them and, in turn, how that unique perception is projected back onto the world within their art. In John's words: "Mixed media to Seth is a medium of freedom, of layers of expectation, and of expression. It is the bringing together of events, often long dissociated from the materials used, but still nevertheless imbued with an essence. It is a scattering of old memories, and the bringing together of the new." "As an artist he takes note of the nature of streets and the people that inhabit those streets. Life is all about attachments, connections, imbuing space and time with meaning and understanding." 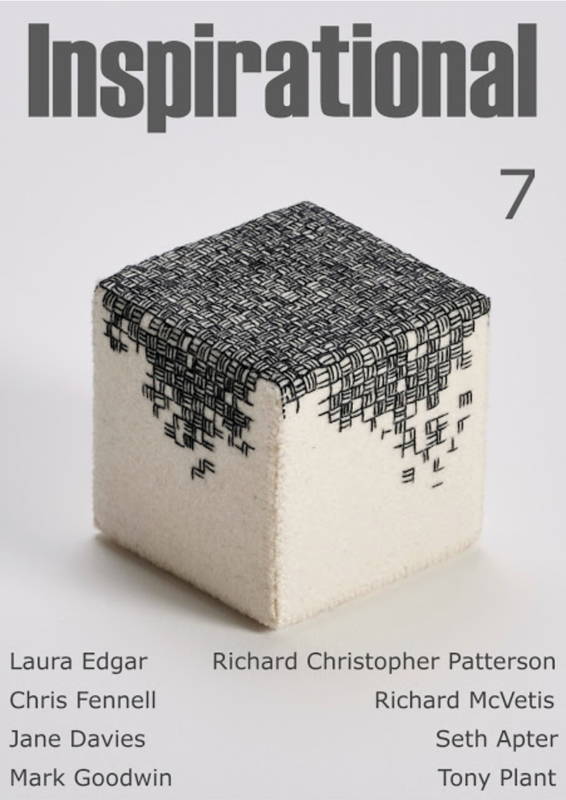 Earlier issues of Inspirational have highlighted a diverse group of artists including some of my favorites such as Chris Keegan, India Flint, Patricia Oblack, Cas Holmes, Wen Redmond, Annie Coe, Jude Hill and Elizabeth Bunsen. You can read more details about Inspirational, download a free sample feature, and purchase issues here. Glad to see these interesting pieces showcased as well- some of my favorites!! There's a poignancy to these pieces that makes it easy to understand why they are receiving so much attention. A light touch, coupled with deep layers of association and meaning = images that are very moving. Congratulations!